Happy End of March and almost- April! You will forgive me if I keep this brief, I really want to get to working on my novel and my window to do so today is swiftly closing. What with the sunshine and the smell of spring in the air, I keep getting lured outside in the morning to pull the never-ending weeds instead of writing. . . .
I’m debating about starting to give my rating ( 1 to 5 stars ) for the books I review but I just cannot decide! What do you wonderful SGL readers think? Do you like having that quick-reference point or not?? Love Finds You – in Pendleton Oregon – Melody Carlson – Sunny Westcott is used to the quiet reflections of the small university where she had been a teacher for years. Signing on as a model had never been in her plans. But finding a new job had proven difficult and she needed the money. Then her friend Aubrey drags her to Pendleton for the rodeo, she’s surprised at how much she enjoys the ranch, the small town and riding horses. Meeting a cowboy that sends her pulse racing helps as well. While she’s there, she does some digging into the lives of her ancestors that used to live on the reservation nearby. – So. This review is a little sad to write. I normally LOVE Carlson’s books but while this one was very cute and fun to read due to the fact that it is set in Oregon, (i love my Oregon! ), it seemed a little rushed. Well, at least the romance part of it did. Which left me rather dissatisfied at the ending. Apparently Carlson has a whole series of ‘love finds you in’ but this is the only one i’ve read! Just might have to get to the library and give the others a shot. The Count of Monte Cristo – Alexandre Dumas – Accused of a crime he didn’t commit, Edmund Dantes spends more than a decade in Chateau D’if. Finally escaping, he focuses on exacting revenge on those who sent him there. – What the what. This Book! It is taking me longer to read than I thought it would – as it is I’m only halfway through, but Dumas is a brilliant writer. Having only seen the movie (with Jim Caviezel ) , I was a little concerned about it affecting my enjoyment of the book, but so far – I’m loving the story even more! You Can’t Go Home Again – Thomas Wolfe – I got this as a birthday present this past weekend (thanks brother!) and have read the first few chapters and am enjoying it so far. I’m not looking up the storyline/synopsis though, as I am kind of enjoying having NO clue what the book is about. =) You’ll just have to come back and read my review! The Deep Haven series by Susan May Warren – Set in Deep Haven, Minnesota, each book follows those eager to plant roots in this small, tourist town. With romance, faith and a touch of mystery, Warren delivers a delightful, easy to read series. -I reviewed them here! they are a fun, faith filled series that I’ve enjoyed for years! Happy end of August! Not that it’s really sunk in yet that summer is pretty much over – we are looking forward to vacation next week (finally one we are going on together!!!) which includes a wedding, lots of time with friends and family and possibly buying a car! EEK! This month has been one full of reading a rather random assortment of books. But, really, it would be boring to read all one genre in a month wouldn’t it? The Count of Monte Cristo – Alexandre Dumas – On the brink of the happiest day of his life, Edward Dantes is thrown in jail for a crime he didn’t commit. Years later, he learns of a treasure hidden on the Isle of Monte Cristo. He then focuses on escaping the grim fortress and, after finding the treasure- exacting revenge on the three men who ruined him. — I am reading this on my phone, which means it’s going much slower than if I had a book to pick up! I am loving the complexities of the story, and realizing that, of course, the movie changed some major components of it. I might need to get a copy just so I can actually finish it. The Problem of Pain – C.S. Lewis – Man has been plagued by one question for years – ‘if God is good, why does he allow pain?” Lewis, who is known as the ‘greatest Christian thinker of our time’, answers this complicated question and seeks to heal a hurting world. – I have this next to my bed to read before falling asleep = it’s taking me a very long time to get through….But I am learning from it and figure it will become a yearly read. 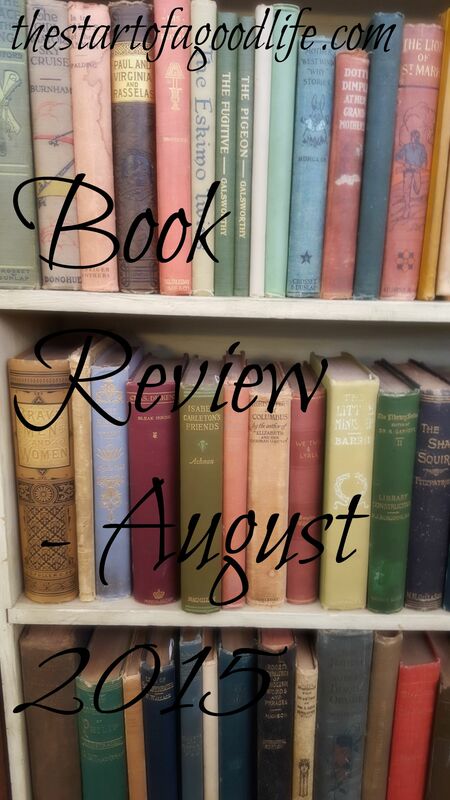 The Storekeeper’s Daughter – Wanda E. Brunstetter – Daughters of Lancaster County, book 1 – In Amish country in Pennsylvania, tragedy strikes – Naomi Fisher’s mother dies in an accident. At the time when she should be going to singings and riding in a courting buggy, she is instead taking care of her seven siblings and helping her father in the family store. Just when she thinks she can’t take one more day in the restrictive world she now finds herself, the unthinkable happens. And any confidence she, or her family, had in her is shattered – will she be able to continue on? – This was a re-read for me but still just as enjoyable. Brunstetter rarely lets you down with her novels. The gospel message is clear throughout, without being overkill. I hope you know what I mean by that….I enjoy the slow-paced nature of books set in the Amish world, and inevitably feel incredibly lazy with having washers for clothes and dishes….and plenty of time to read novels! The Hero and the Crown – Robin Mckinley – She had always known the story of how her mother, the witchwoman, had used a spell to get the king to marry her. Aerin had heard it from beginning to end many times – how, after giving birth to a daughter instead of the longed-for son, her mother had turned to the wall and died of despair. Being the daughter cast her into a difficult position – one with a destiny she couldn’t see. But through determination and with a willing war-horse, Aerin would learn that her destiny was far greater than anyone believed – she was to be the hero who would wield the Blue Sword, Gonturan. – I picked this book up (along with #2 in the series) at Jupiter’s bookstore in Cannon Beach Or. Seriously, I love going to that bookstore. No matter what else I do while in the cute seaside town, I spend at least an hour in the cram-packed-full-of-used-books bookstore. I have read a few of Mckinley’s books – Beauty being one of my favorites – so I decided it was worth risking it. It is fantastic. A new world and language to get sucked into, plus it’s about a sword-wielding heroine? Yes please. The twists and turns and the growing that the heroine does from beginning to end are engrossing. The Secret – Charlotte Bronte – A collection of short stories by Charlotte and her siblings are in this light read. Each are set in the imagined world of Verdopolis and are full of intrigue, lies and love. – These were very fun to read even though due to taking so long to read them I did get a little confused about the repeating characters. The heroines are all gorgeous and brave and true while the heros are handsome and trustworthy and the villians easy to spot by their dark brows and evil intent – all in all, very charming stories. The Blue Sword – Robin Mckinley – Harry Crewe, newly orphaned, has come to the desert land of Damar, a place of secretive, magical Hillfolk and the Outlanders. Her life is a bit dull and ordinary – until she is kidnapped by Corlath, the king of the Hillfolk. She begins training in the arts of war, even though she doesn’t understand it. – This is the second book in the series (not sure it’s actually a ‘series’ though) of the world of Damar. Absolutely engrossing so far. Fantastic characters and I do love a bit of magic in my novels. And when a book can make me forget I’m eating lunch, well, you know it’s good.